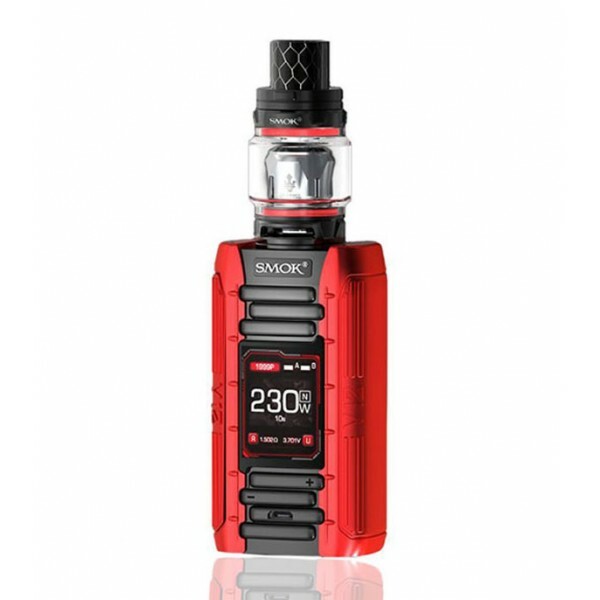 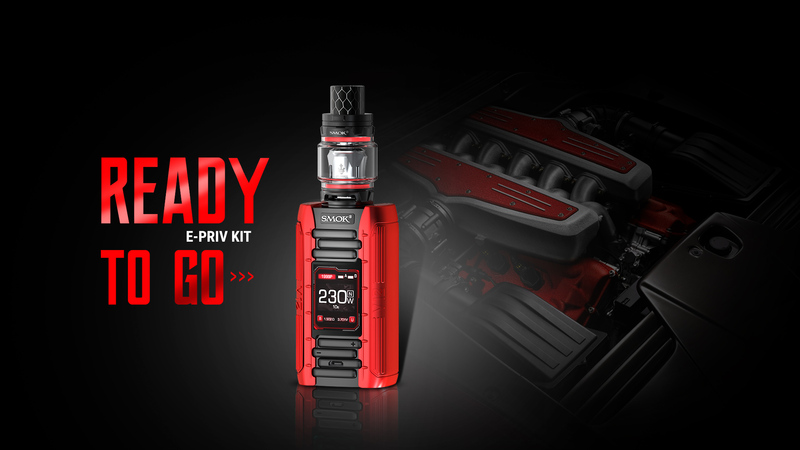 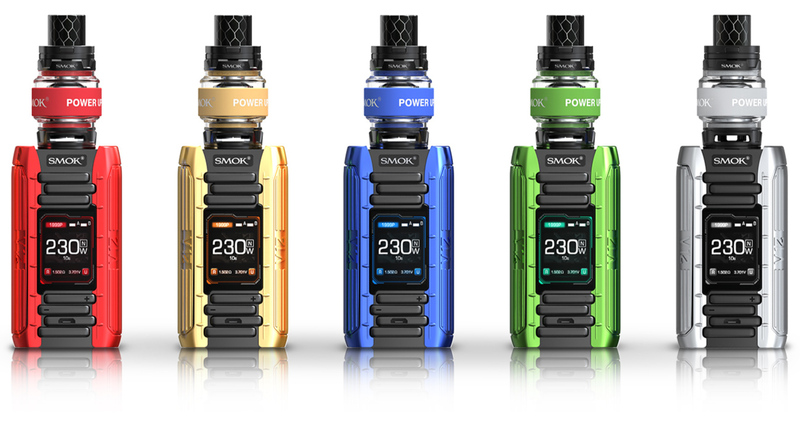 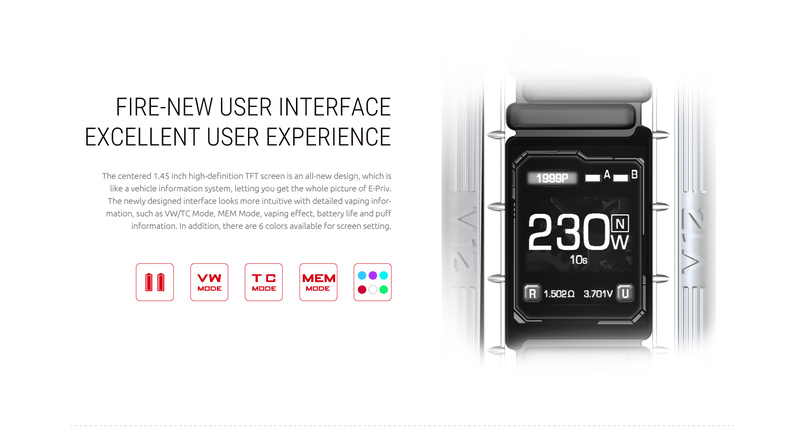 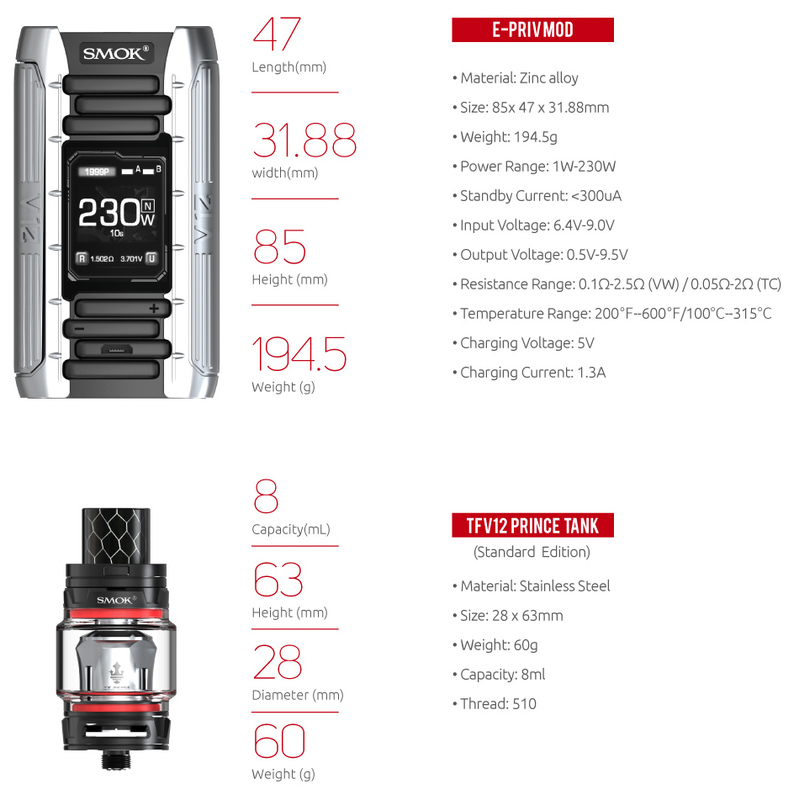 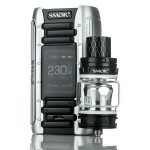 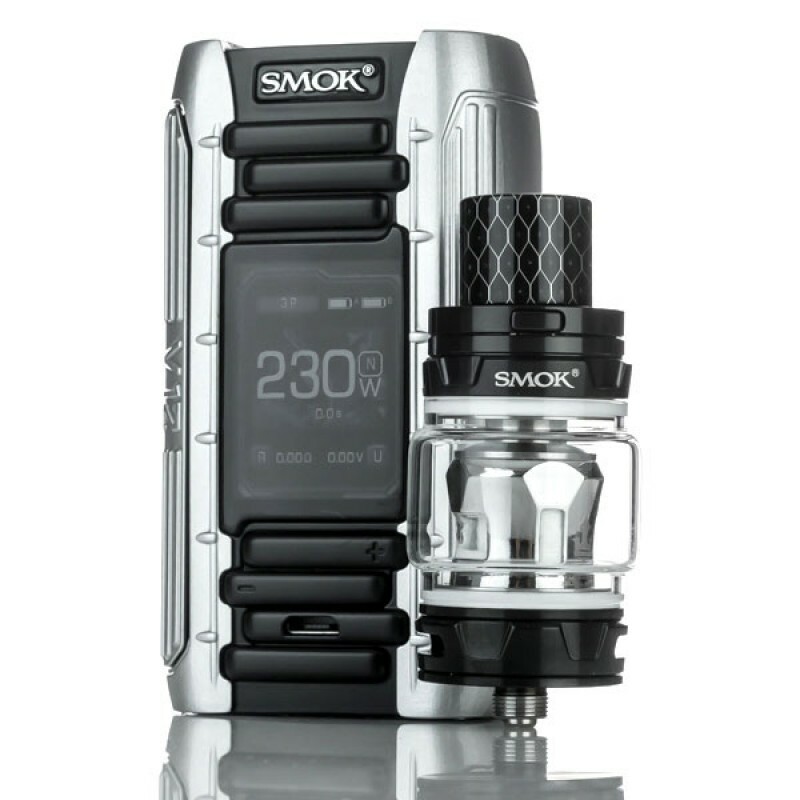 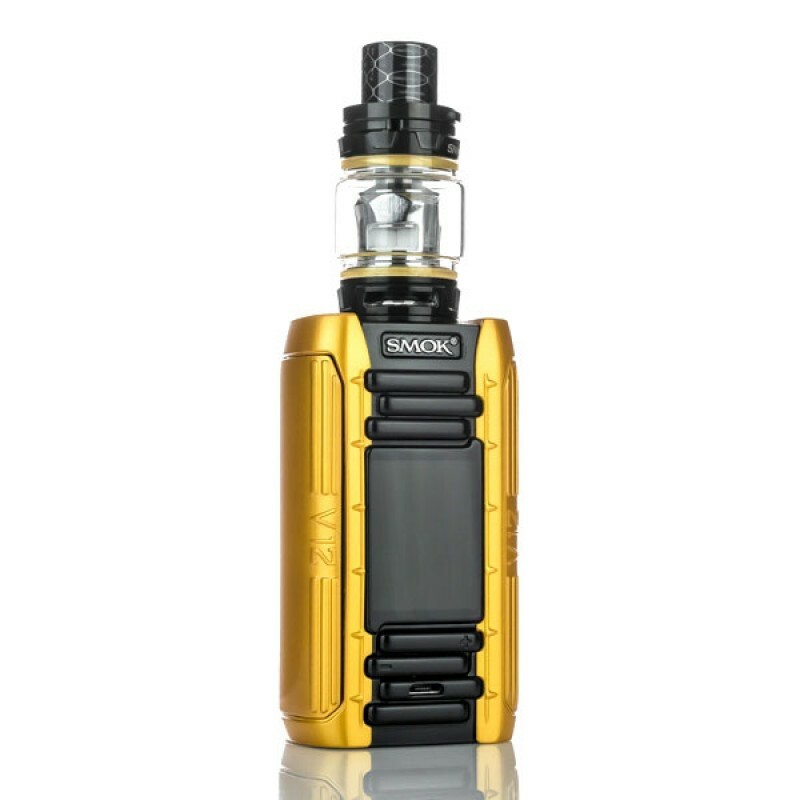 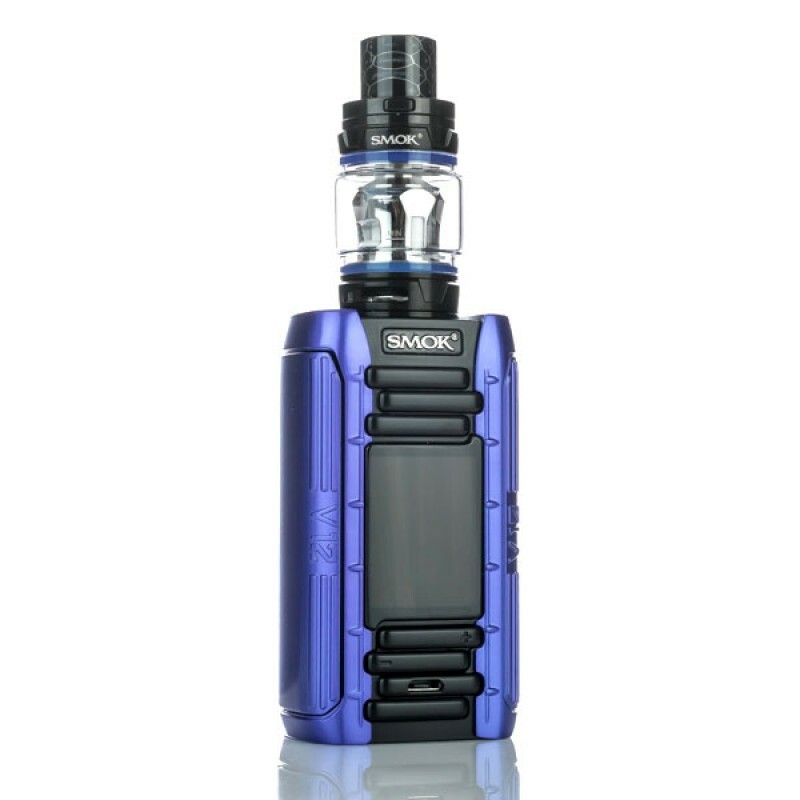 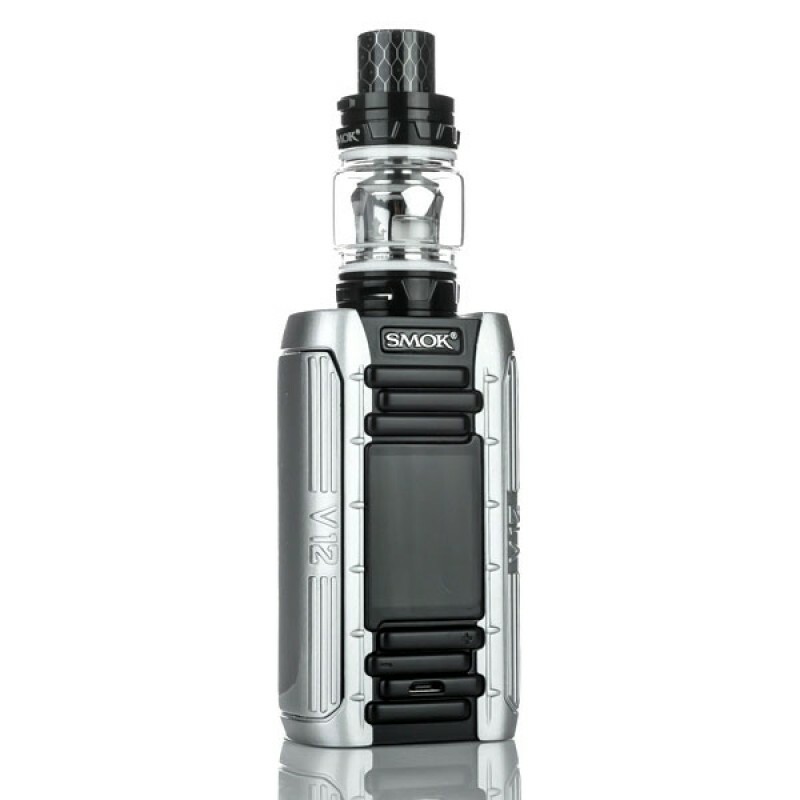 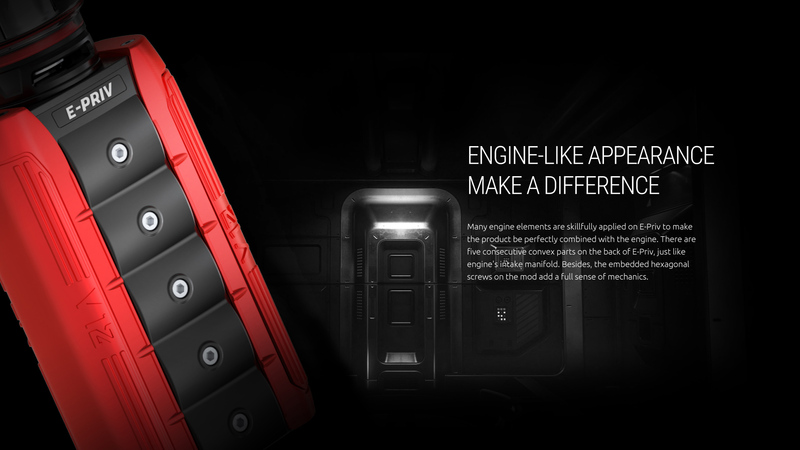 Inspired by the powerful engine of world's top-class racing cars, SMOK launches another stunning box mod--E-Priv. 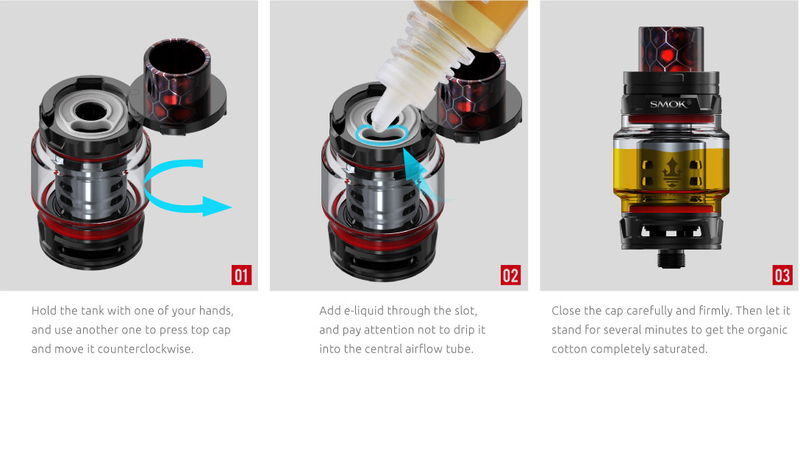 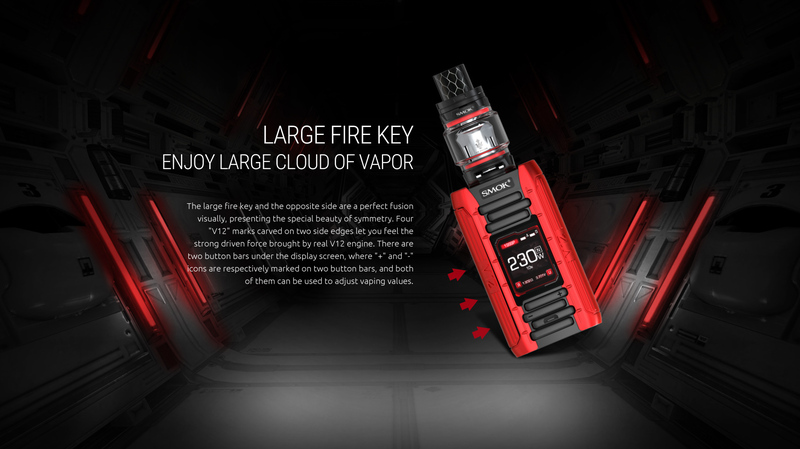 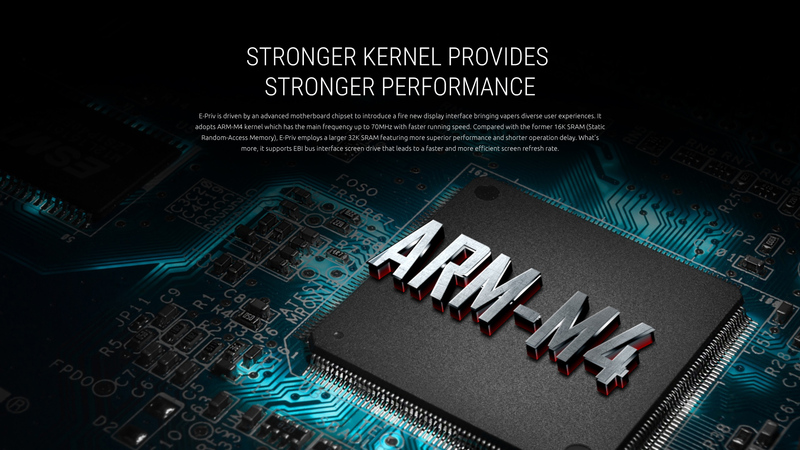 Every detail is meticulously designed and elaborately crafted, whether from the design, the material, or the workmanship, you'll find it a desirable vaping engine. 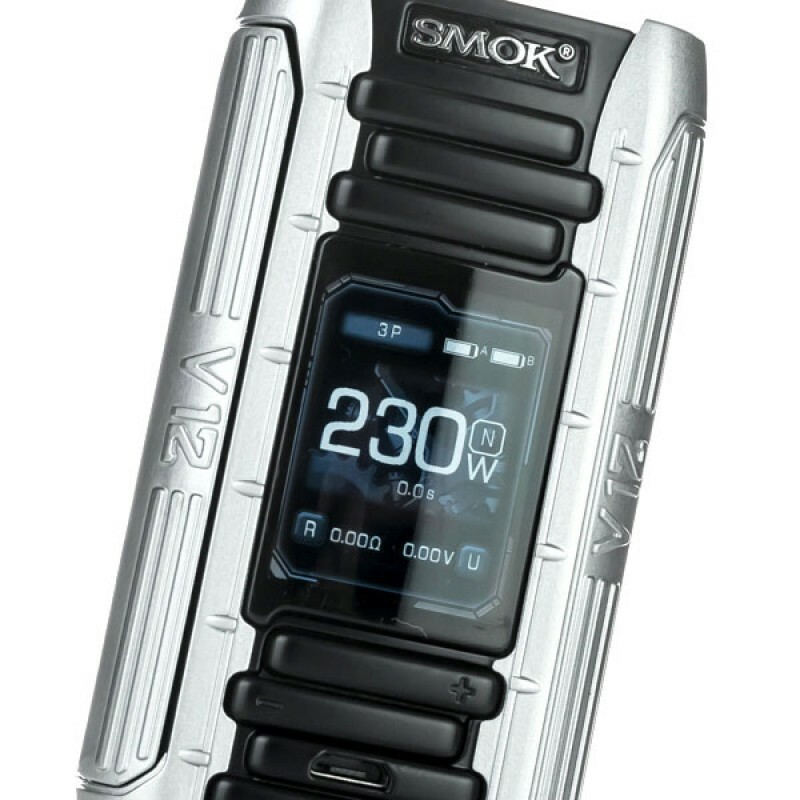 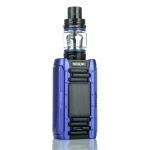 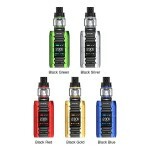 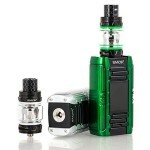 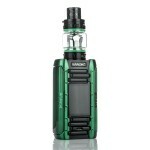 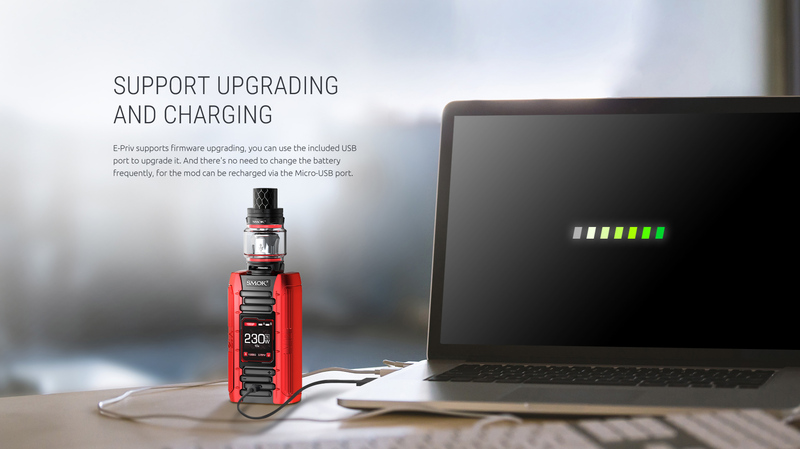 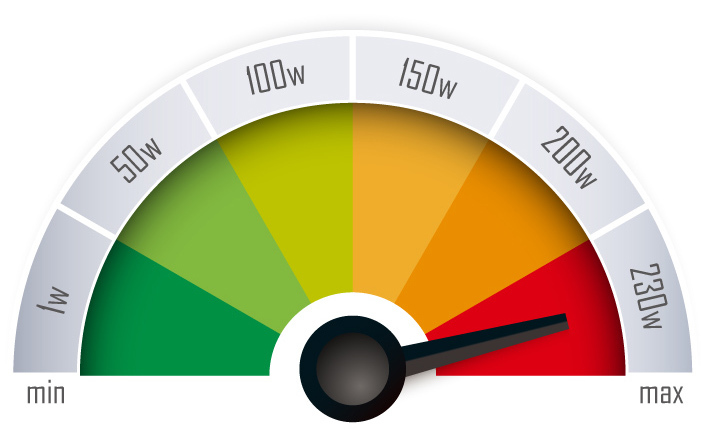 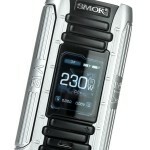 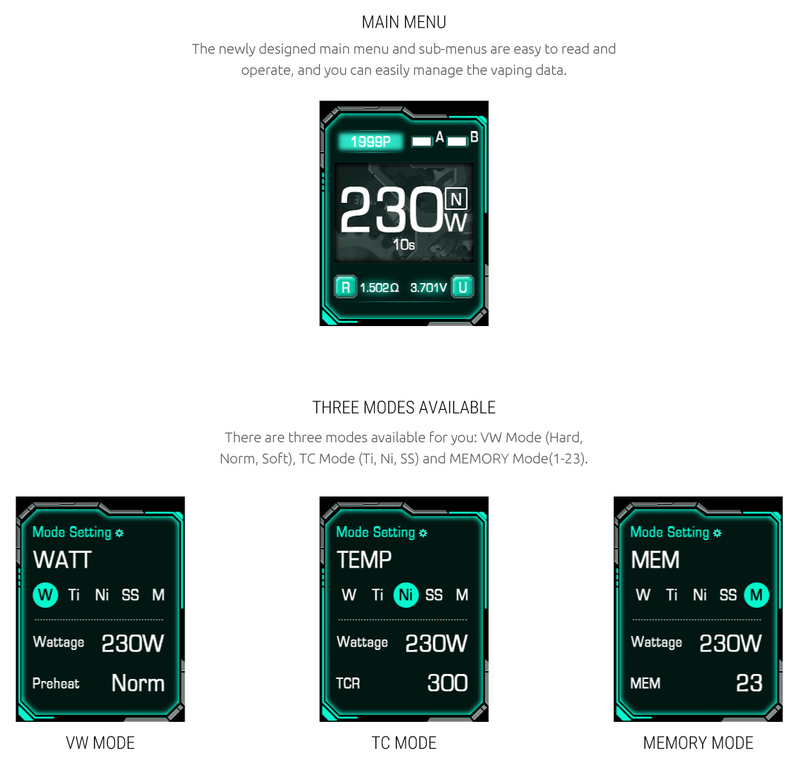 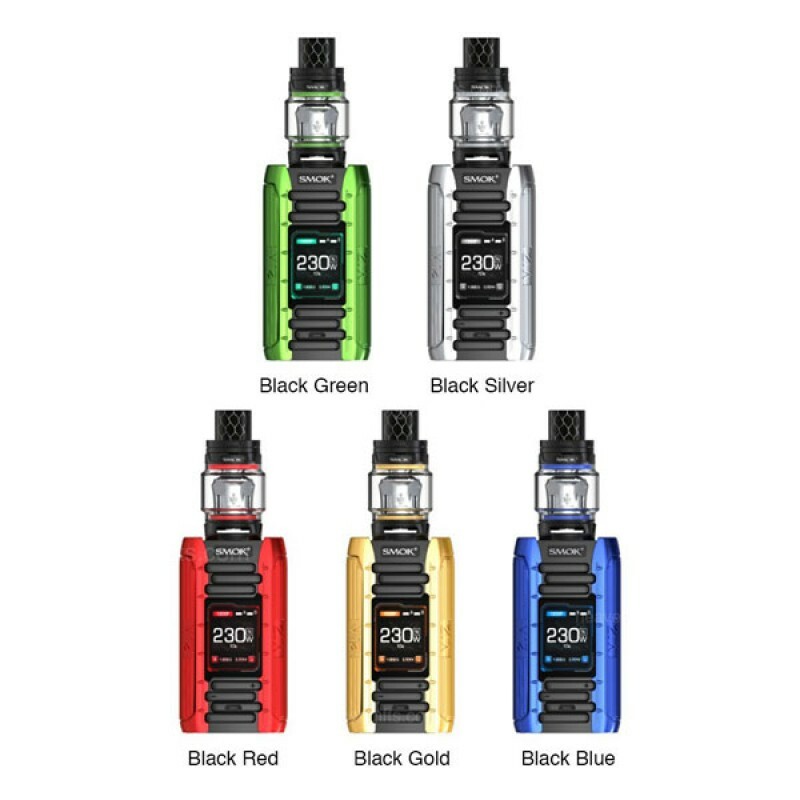 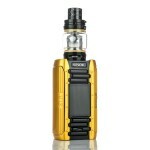 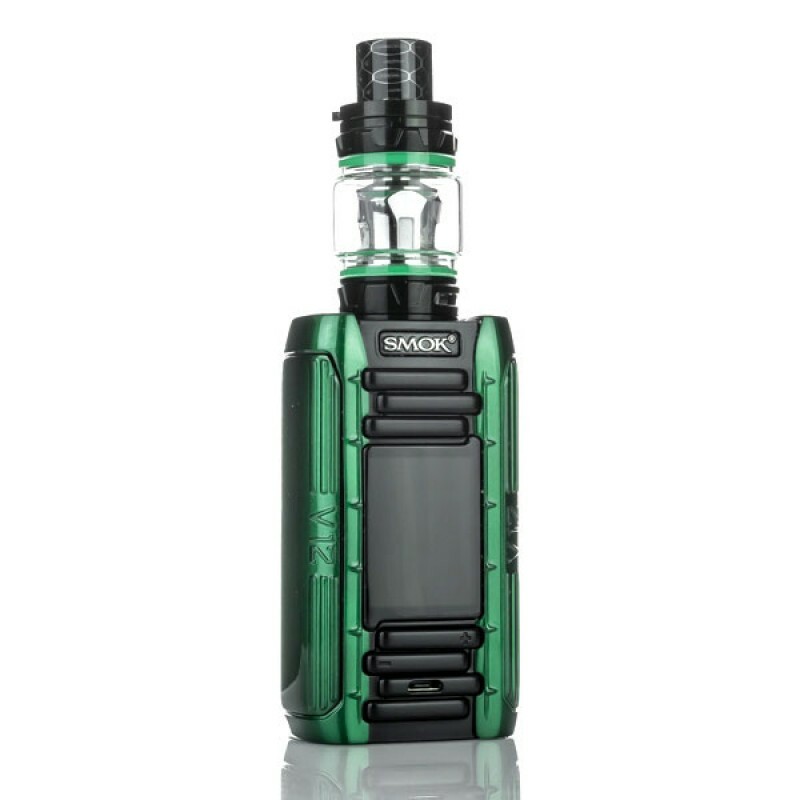 E-Priv uses two 18650 batteries as its power source to supply up to 230W output. 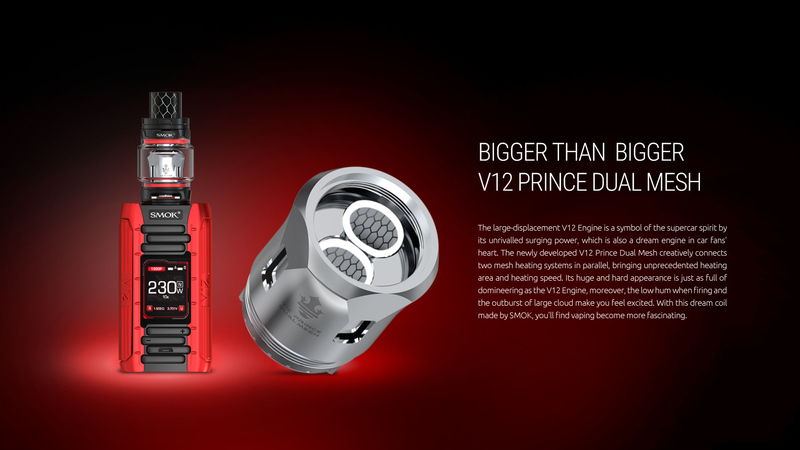 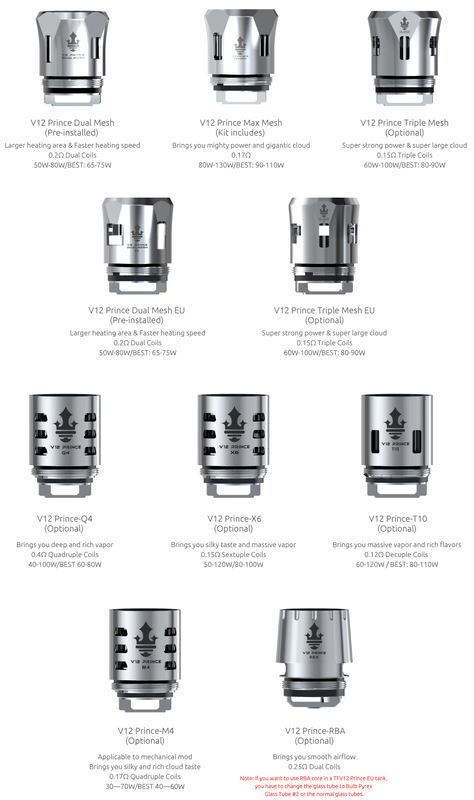 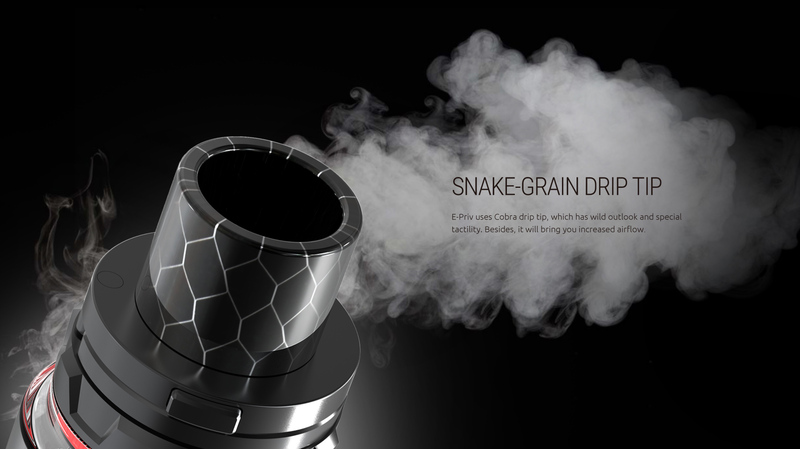 This mod comes with our amazing TFV12 Prince tank, which matches new powerful V12 Prince cores: the pre-installed V12 Prince Dual Mesh creatively connecting two mesh heating systems in parallel to bring unprecedented heating area and heating speed. 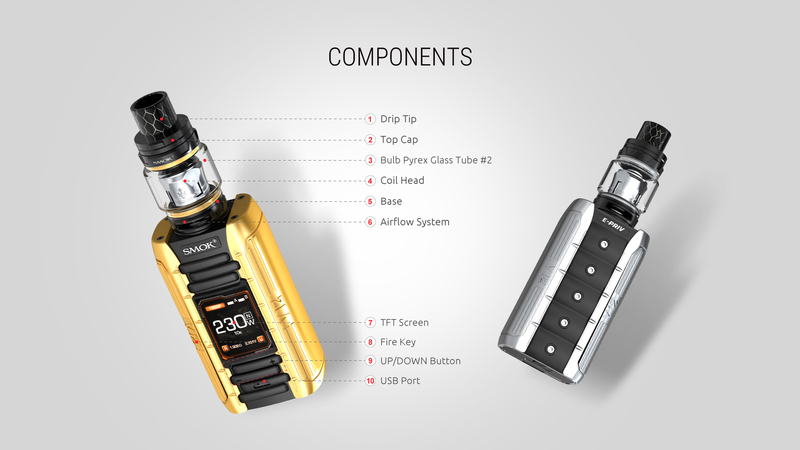 Vape with all these powerful combinations and you'll see how wonderful your vaping journey would be!